Research shows that the only way to feed the world is to have many farms and farmers growing food in ways that restore the soil, produces delicious, nutritious food and ensures that producers get a fair return. Food production can double in 10 years in the areas that need it most while cooling the climate and reducing rural poverty. GM crops have failed in all their promises. The Failure to Yield report by the Union of Concerned Scientists showed almost all increases in crop yields and productivity were due to conventional crop breeding, not GM. GM crops have increased pesticide use. Most GM crops are designed to be sprayed with weedkillers, usually Roundup. Roundup (glyphosate) is a 'probable carcinogen' according to the WHO's International Agency for Research on Cancer. Repeated spraying of glyphosate has created 'superweeds' that can't be killed. New GM crops are designed to be sprayed with a weedkiller called Dicamba. This weedkiller is drifting across the US killing fruit and vegetables, trees and other crops. The problem is so serious that states are banning the use of the chemical. People can go hungry even in rich countries. In the US, the biggest grower of GM crops, one in eight Americans rely on food banks and other supports so they can eat. In Australia 2 million people seek food relief at some point every year. The current industrial food system with pesticides and GM is failing to feed us. 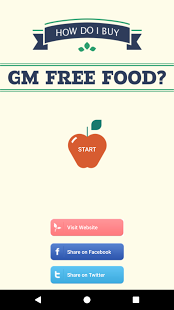 We do not need GM crops but a system that has the health and wellbeing of people at it heart. We should not be blackmailed into a giant, hidden GM experiment on our food and our health by false promises of helping others.